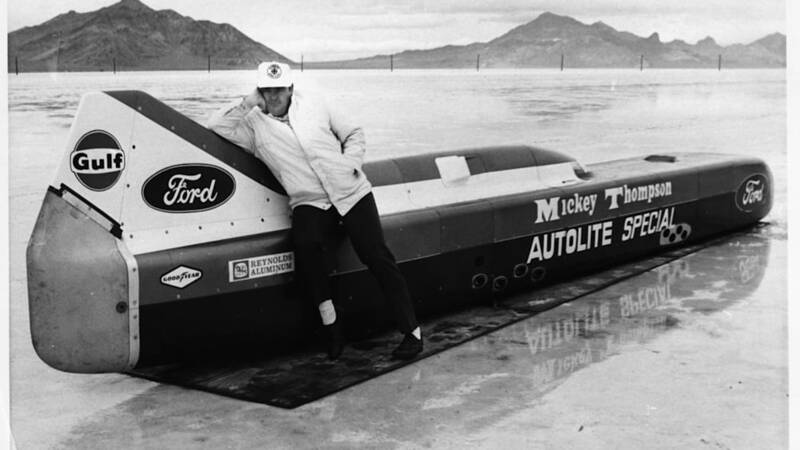 You've probably heard of Mickey Thompson, if not for racing home-built Indy cars or punting early Funny Cars down drag strips, perhaps for the tire company he founded, his successful forays into off-road racing or, crucially, his attempts to break land speed records at the Bonneville Salt Flats. 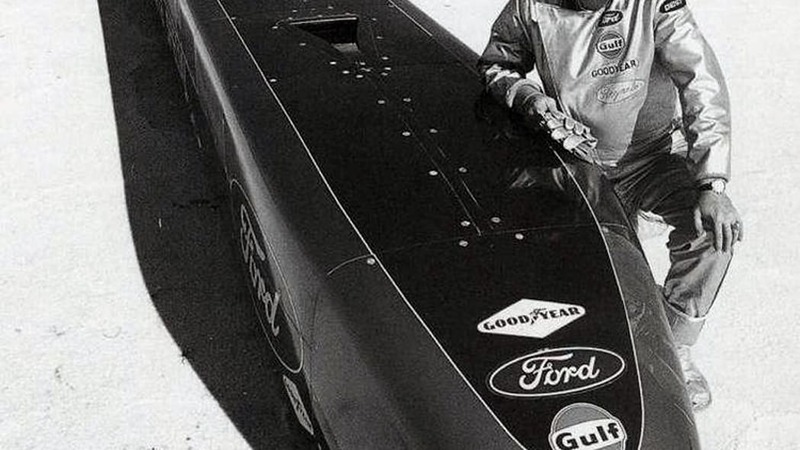 In 1960, he became the fastest man in the world after going 406 miles per hour in his race car, the brutish four-engined Challenger I, but the record was never completed and made official due to a breakdown on the return run. 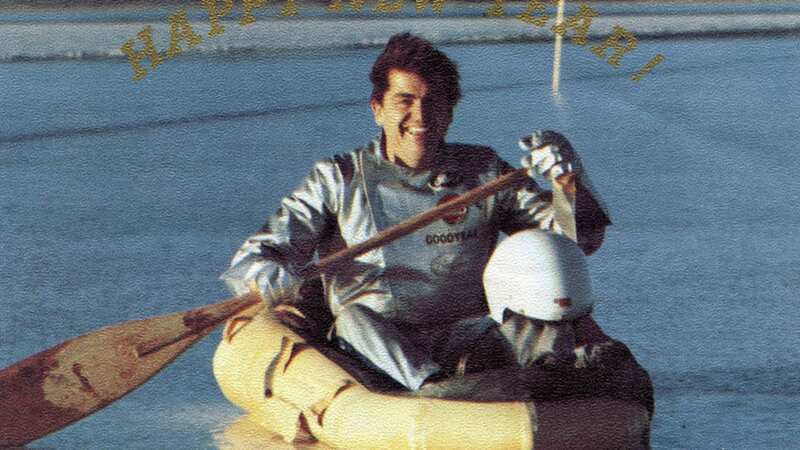 Tragedy struck when Mickey and his wife were murdered in front of their house. 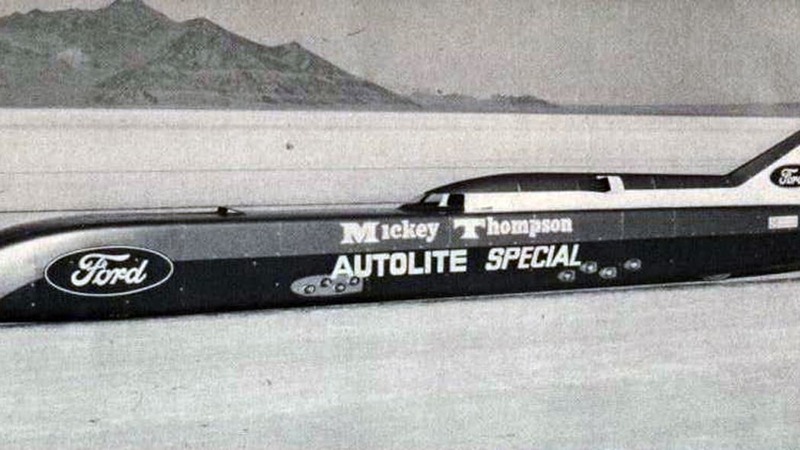 "After years of planning to build a car that would go even faster than the Challenger I, things came together for Thompson in 1968, when his collaboration with Ford to put Mustang bodies onto his Funny Car drag racers morphed into something much bigger: the Challenger II LSR Streamliner. 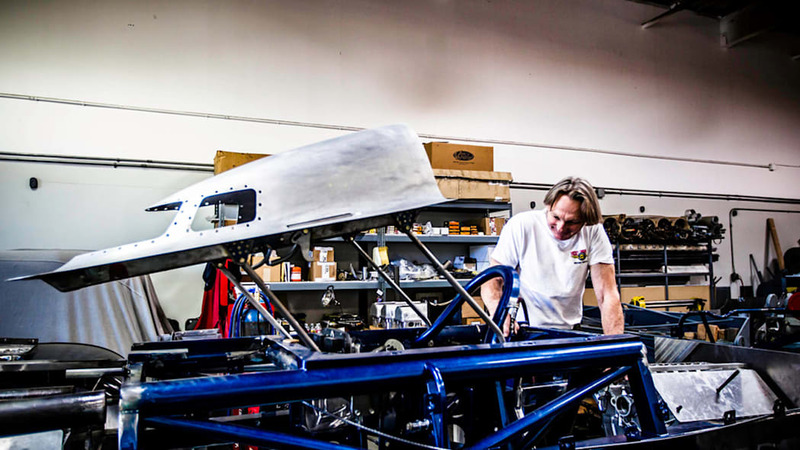 "The Challenger II project actually evolved out of a larger program originally intended to generate buzz for the introduction of the 1969 Mach I Mustang," Danny Thompson, Mickey's son, explained to Autoblog in an e-mail. 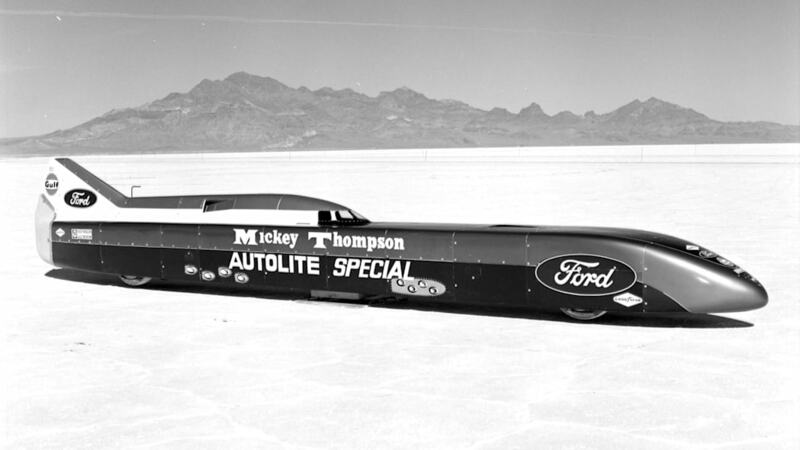 "[Ford] decided to take three Mustangs to Bonneville and break as many records as they could," he said, and Mickey Thompson was going to do the same with Funny Cars and the Challenger II using Ford's 427 SOHC motorsport engine. 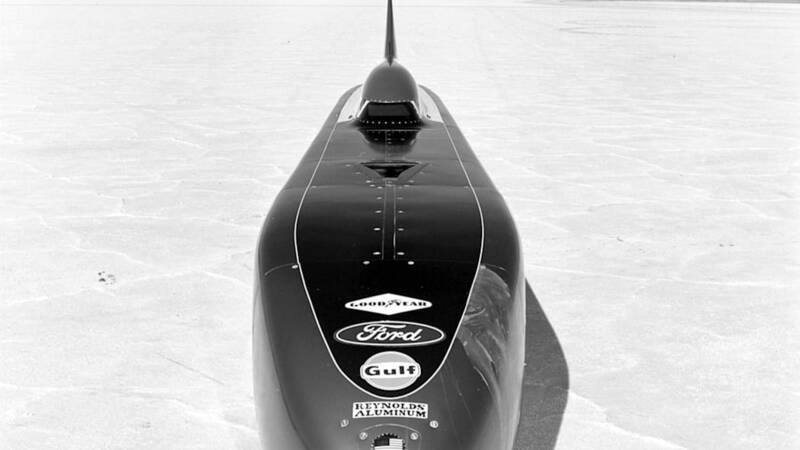 Ford was also closely involved with the design of the Challenger II through their Kar Kraft specialty shop," Danny Thompson related. 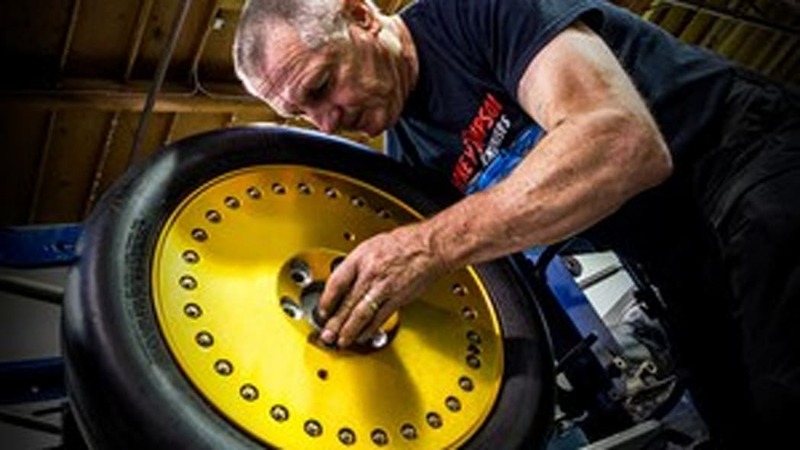 Ed Hull, who was involved with the GT40 Mark IV Le Mans racer, was just one of the sharp minds at Ford who contributed to the Challenger II, but Mickey Thompson and his hand-picked team were responsible for its construction. 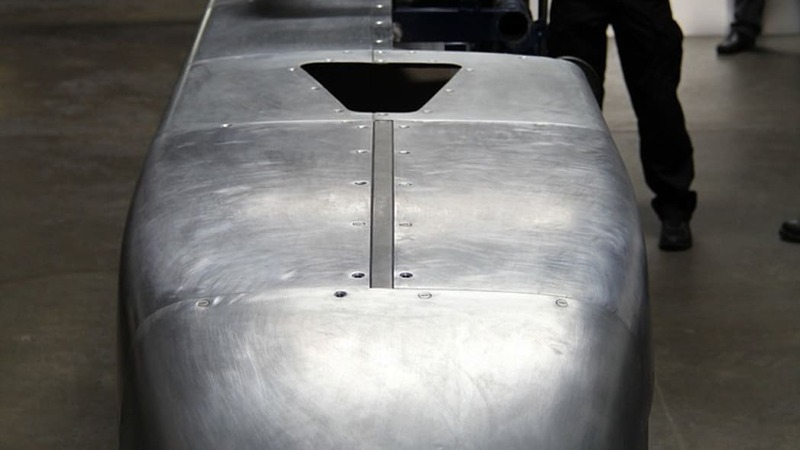 And that's where the Challenger II story ended, at least officially. 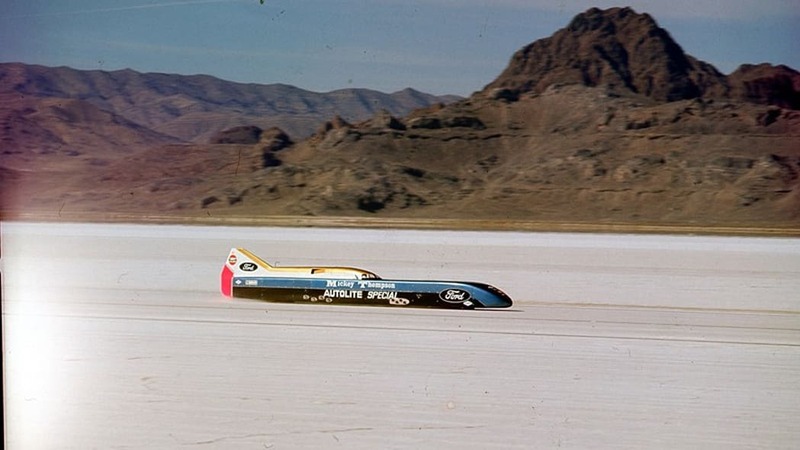 It was prepared in time for Speed Week at the Salt Flats, and test runs were proving its mettle, but the dry lake bed wasn't ready for the Challenger II after an unseasonal storm flooded the course. 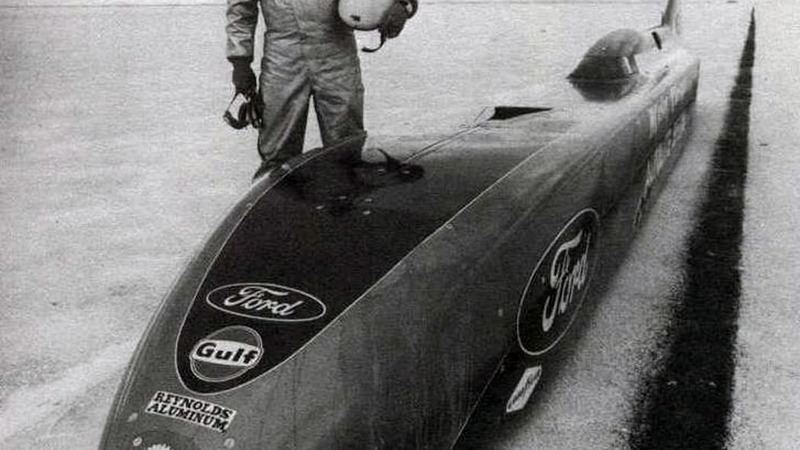 Even worse, 1969 brought no relief to Thompson and his team when Ford pulled the plug on racing activities. 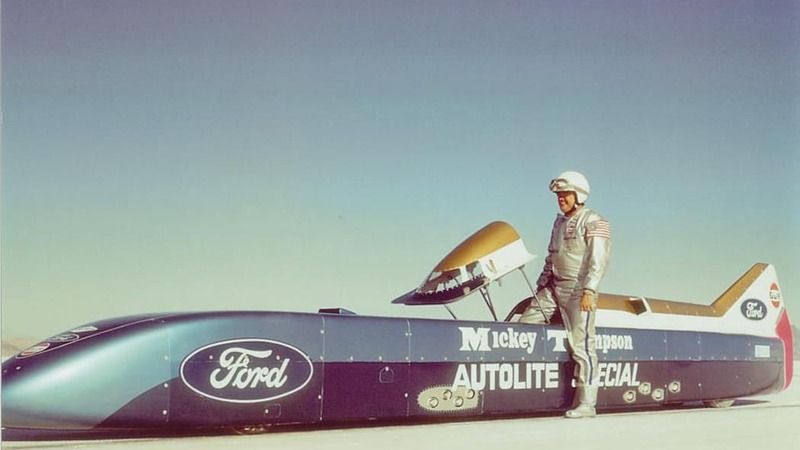 Years later, Mickey Thompson and his son planned to revive the Challenger II for a record-setting run in 1989, but tragedy struck when Mickey and his wife were murdered in front of their house, nixing any plans of running the streamliner. Scroll down to keep reading and to watch the videos. 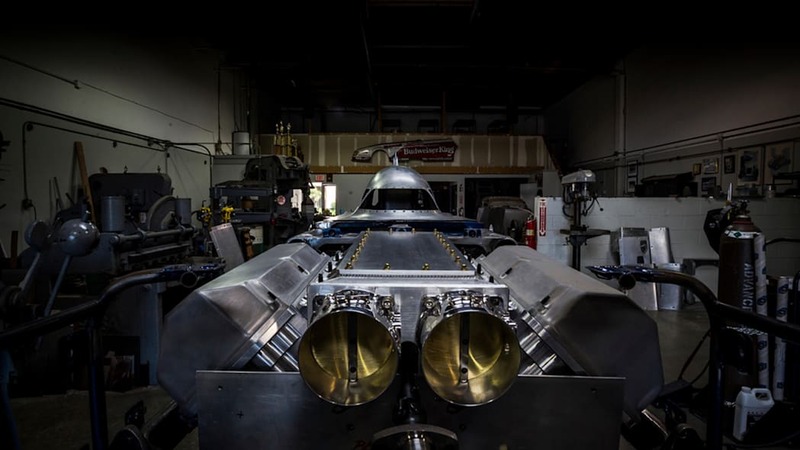 Fast-forward to today, and Danny Thompson is committed to going at least 450 mph in the updated Challenger 2.5, which earned its new name from the modern performance and safety updates it has received over the last couple of years. 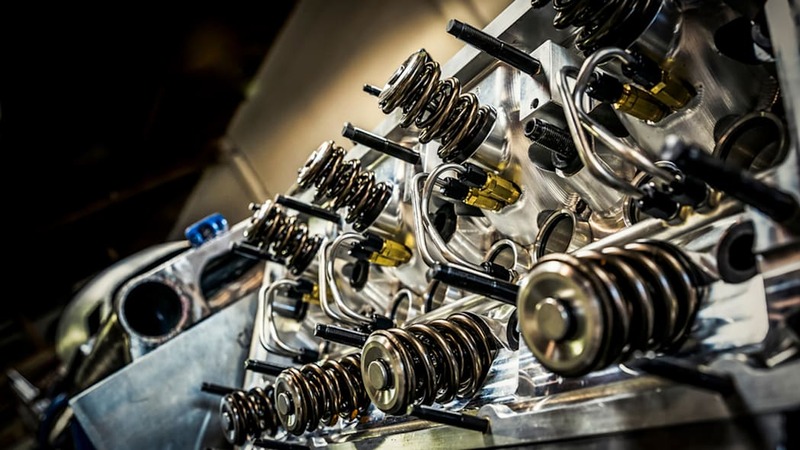 For example, the original two engines, each driving the front or rear wheels in a unique four-wheel-drive system, made a combined 1,800 horsepower, but the new, dry-block V8s (yes, they're cooled by fuel, a nitromethane blend) produce a combined 4,000 hp. 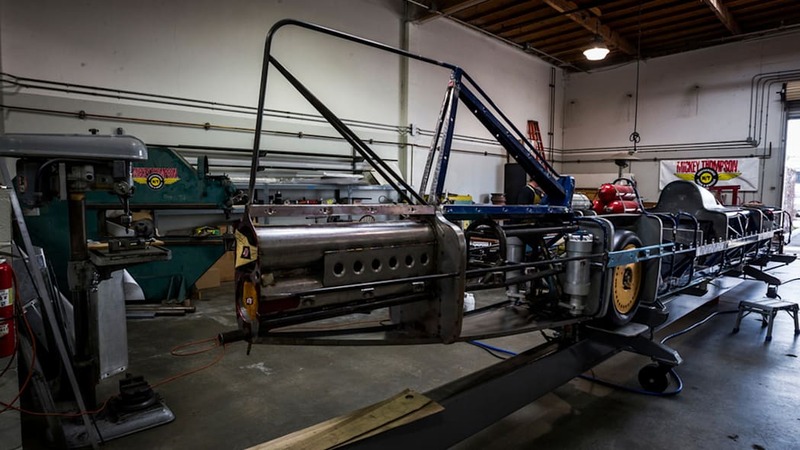 The roll cage also has been updated to conform to modern rules and specifications. 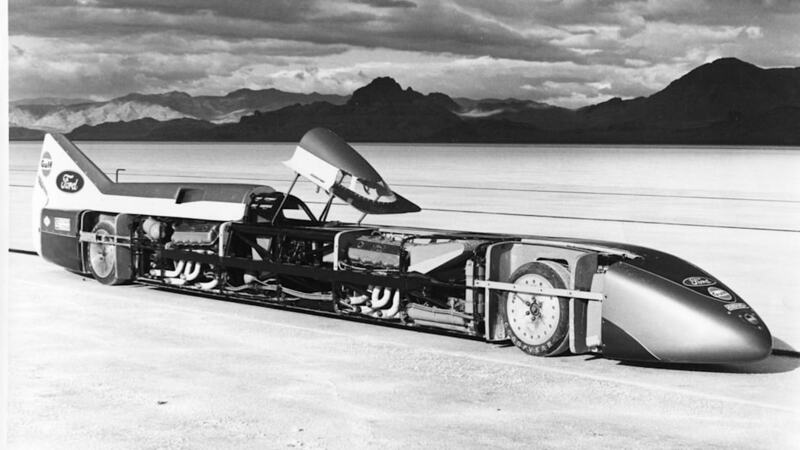 Of course, this is just touching the surface of what's been done to the streamliner. 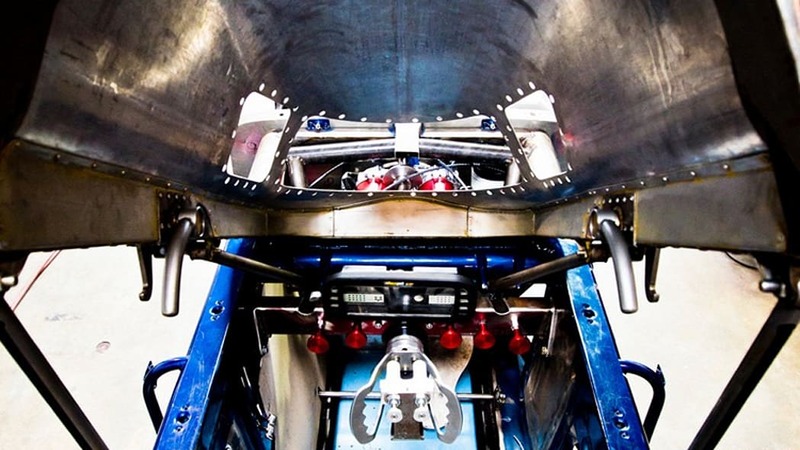 Danny Thompson has started a Kickstarter campaign to fund the rest of the Challenger 2.5 project leading up to record attempts at Bonneville in 2014. 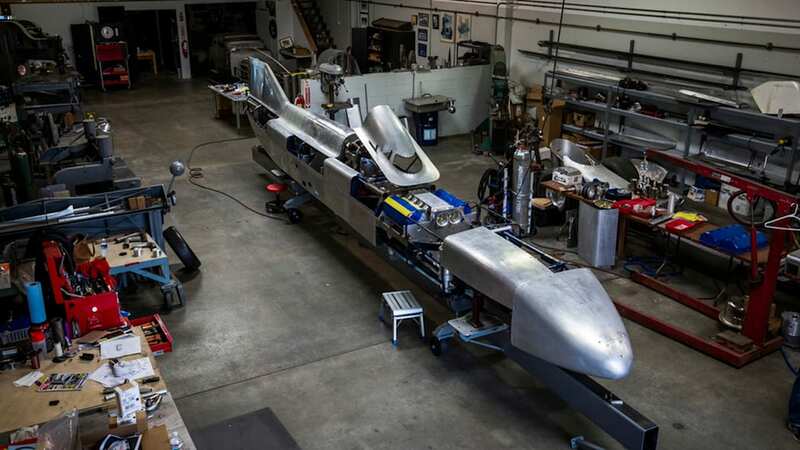 He's driven over 250 mph before in a smaller streamliner, and even crashed a land speed Mustang at 265 mph, so he has a wide range of experience to aid him in his run to 450 mph in his dad's old streamliner. 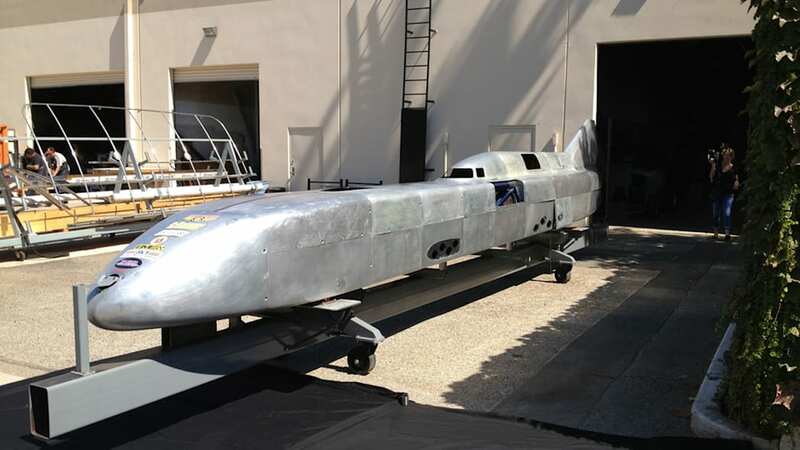 If you want to be part of his attempt to top 450 mph, which would break the piston-driven world record, feel free to visit his Kickstarter and make a donation. 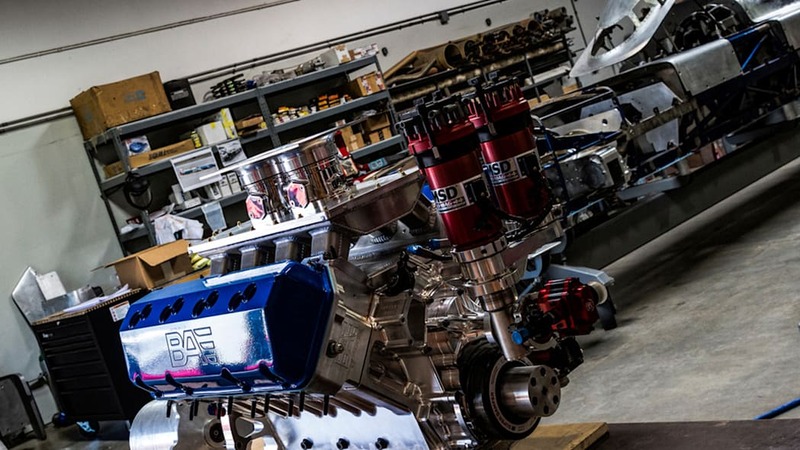 And of course, be sure to check out the great videos on the project we've included below.